Chalet Hana is located in Liptov, in the village of Demanovska Dolina, entrance gate to the ski resort Jasna - Low Tatras. It was built in 1934 as one of the first chalets in Demanovska Dolina. Chalet Hana offers modern and comfortable accommodation for 12 people in 4 bedrooms (1x4, 2x3, 1x2). There is a living room with fireplace, SAT-TV and home cinema, fully equipped kitchen (fridge, microwave, induction hob, oven with grill, dishwasher, electric kettle), summer terrace, fireplace, grill, two bathrooms with shower and toilet, free wifi, free baby cot, parking directly by the chalet, wood for fireplace and large ground. The village Demänovská Dolina with local parts Tri Studnicky, Jaskyne, Repiska, Lucky and Jasna was established in 1964 and is located in the same named Demanovska Valley. Demanovska Valley is 15 km long and is situated on the northern slopes of the Low Tatras Mountains, south of Liptovsky Mikulas and is the most famous and most visited valley of the Low Tatras, whose highest peaks exceed the height of 2000 m a.s.l. It situated between the peaks Dumbier (2043 m), Krupova Hola (1927 m), Chopok (2024 m), Derese (2003 m), Polana (1889 m). The Demanovska Valley is part of the Low Tatras National Park, where, besides the remarkable scenery, landscapes and aesthetic values, Demanovsky Karst and Vrbicke Tarn are the most valuable. Interest in the valley has increased by the discovery of Demanovska Cave of Freedom in 1921 and soon an tarmac road was built there. 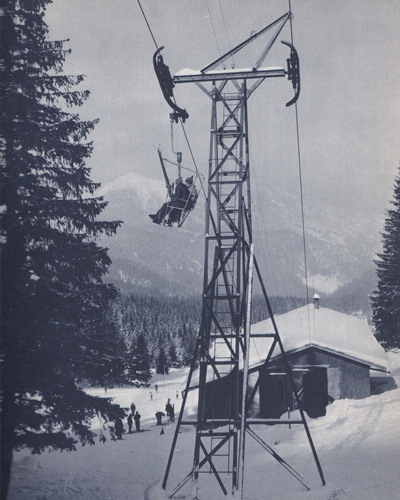 The extraordinary expansion of visiting the valley occurred after the construction of the chair lift to Chopok in 1936. Ideal ski slopes, world-famous caves: Demanovska Cave of Freedom, Demanovska Ice Cave, Window, Dragon Cave, Benikova Cave, Demanovska Cave of Peace and Dvere, as well as other possibilities of summer tourism, scenery, beautiful fauna and flora supplemented by suitable climatic conditions, that is Demanovska Valley. Liptov is a unique region in the north of Slovakia, characterized by the diversity of nature, the contrast of high shields and green meadows and pastures that have created the prerequisite for the largest natural recreation and entertainment playground in Slovakia. Liptov is a Slovak tourist destination number one, a "green" arena full of natural beauties, adrenaline, aqua parks and entertainment, lively folklore and traditions, as well as history, culture and unique gastronomy. The uniqueness of Liptov is that one day you will discover the underground beauty of the cave through hot thermal springs to great skiing or hiking experiences in the mountains. Liptov is surrounded by the highest mountains in Slovakia: the High Tatras, the Western Tatras and the Choc Mountains from the North, the Low Tatras in the South and the Great Fatra from the West. There are three Slovak national parks with the highest degree of protection in the region: the Tatra National Park, the Low Tatras National Park and the Velka Fatra National Park.